Animation is the fastest growing tech-related industry; and this will continue to be the trend for the next decade as per industry-experts. With a wide-range of devices in the market from Android and Windows tablets, smart-phones, phablets and a demand for unique gaming and entertainment content for them; the demand for highly skilled and trained artists is the need of the hour. Nasscom reported that animation industry is growing by 22% annually. The field of animation is booming, and companies are putting focus on animators than ever before. This is the reason lots of animation institutes are offering professional short-term animation classes to fulfill the present need of the hour. Choosing the right course will not give you right education, but gives right kick start to your career. To run any certificate and diploma courses in animation, the institute must be an ISO 9001:2015 Certified. This is the very first and most important requirement for an animation training institute. Students get certificates and diplomas which are as per industry standards. Students will get the opportunity to work under right infrastructure like computer lab, library, sketching classroom or vfx tools which are updated from time to time in an animation center. State to the art infrastructure gives a quality animation training and a quality training can only makes your career. We are living in the world of technology. Because of internet, a bridge has been made to fill the gap for countries and cities and best education is now just a fingertip away. Keeping in mind different factors, institutes are flexible enough in providing training in various modes like classroom and online. Just having a good internet connection can make you can join the best animation courses online from some of the most prestigious institutions worldwide. Animation courses in Delhi gives a guarantee a minimum standard of the training among the students. Presently the animation courses have been updated regularly by the institutes. Software like Autodesk Maya, Cinema 4D, and Adobe After Effects are updated in the course curriculum. Students will get an opportunity to work on the latest versions of the software. The curriculum is designed in such a manner that over a course of time students get a thorough grounding their desired topic of specialization such as Modeling, Lighting, Rigging, Visual Effects, expert training and certification in a particular or bunch of software. Training staff plays a vital role in animation course. Some well-qualified and experienced mentors not only provide a quality training, but will guide you as per industry standards. 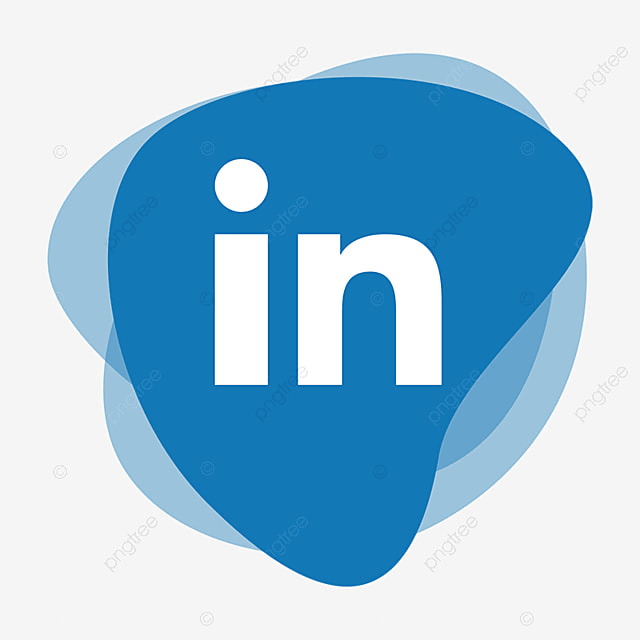 To check the credibility, it’s advisable to take a demo session and also have a one on one session with them to get the smart consultation within a least possible time frame. Most of the institutes conduct several activities like quiz and design competitions, industrial visits, special classes etc. to help students in updating their knowledge and give them a feel of how to work in a pure professional environment. The Professional Development Program (PDP) is a leadership training development program designed by the institutes to give candidates hands-on experience on how to showcase their strengths, develop strong interpersonal skills, demonstrate leadership skills, and how to do multitasking efficiently. After a lot of hard work and completion of the course, institutes provide a wide array of placement services in different part of the world in the shortest possible time. Students graduate with a reel of their completed projects to show to prospective employers. In addition, students get the added benefit of working with their fellow students to create a collaborative network that can last long after completing the program. Institutes will help students to improvise/update their resume just to meet the current standard of the market in the best possible manner. Want to see the awesome projects made by our students then click on Animation Projects. Once a student gets enrolled with any animation institute, they are not just mere students. They become part of the family. Some of very renowned centers make sure that they get provide lifetime support to their students by updating them about the software and that too free of cost. 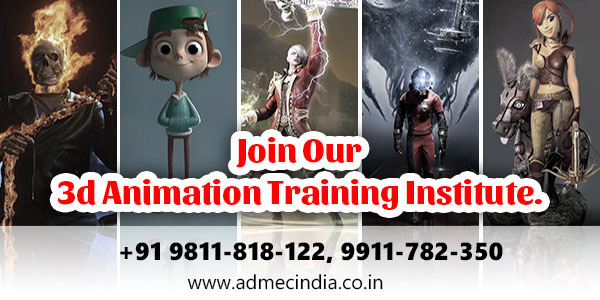 ADMEC is an ISO 9001:2015 Certified and one of the best animation training institutes in Delhi which gives students the chance to learn how to make animation using industry standard 3D animation software that you will use to create and animate 3D models and immersive 3D animation. 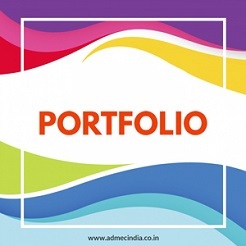 ADMEC comprises of all the ten factors listed above. A career as a 3D animator is not as simple as it sounds. But with sharp skills and the right training in short-term animation classes in Delhi, you can work in animation studios, gaming companies, television channels, advertising agencies & film production companies, and have a high-paying career.